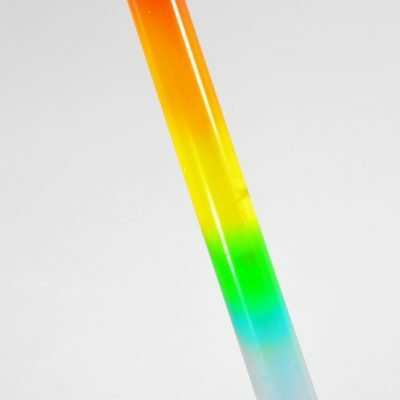 What happens when all the rainbow colors blend together? We will be able to answer these questions after doing some science investigation. In this experiment, we will learn how to do paper chromatography — the separation of a mixture using a thin piece of paper (we used coffee filters). Then, we’ll use the results to make a beautiful flower bouquet. On each coffee filter, draw and color a small circle in the middle. Use a different color on each filter. 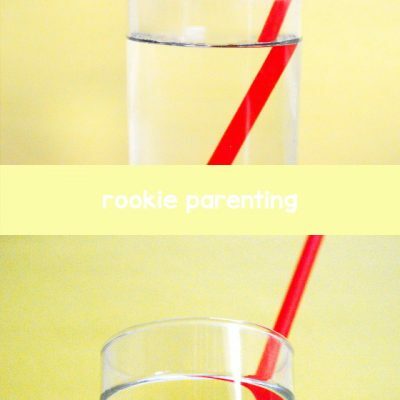 Fill each cup with water to 1 inch deep. Place a filter on each cup. Gently push the middle of the filter down into the cup until it touches the water. Let the filter stay dipped in the water and wait for 10-15 minutes. When the color has spread out for about an inch, bring the filters up and place them on the table to dry. When all the filters are dry, observe how each color is separated. Some colors are separated into several colors. Others are spread out but stay as a single color. To make coffee filter flowers, choose two filters with colors that will complement each other. For example, orange and yellow, blue and purple, etc. First, stack the two filters together and fold them in half. Fold in half two more times. Now, fold the two outer flaps outward onto themselves so that you have a zig-zag shape. 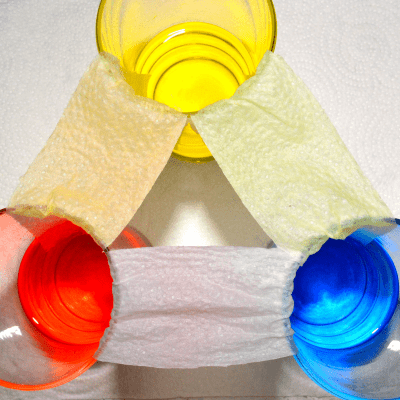 Use a pipe cleaner to tightly tie the tip of the folded filters. Gently separate each layer and pull it outward to form a flower. In the “black” coffee filter, you should be able to see the rainbow colors after the black ink is spread out. 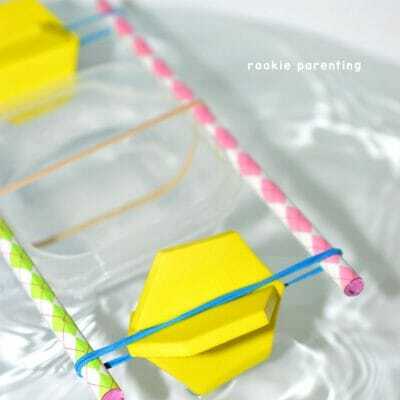 Water is a solvent that rises through the paper fibers. 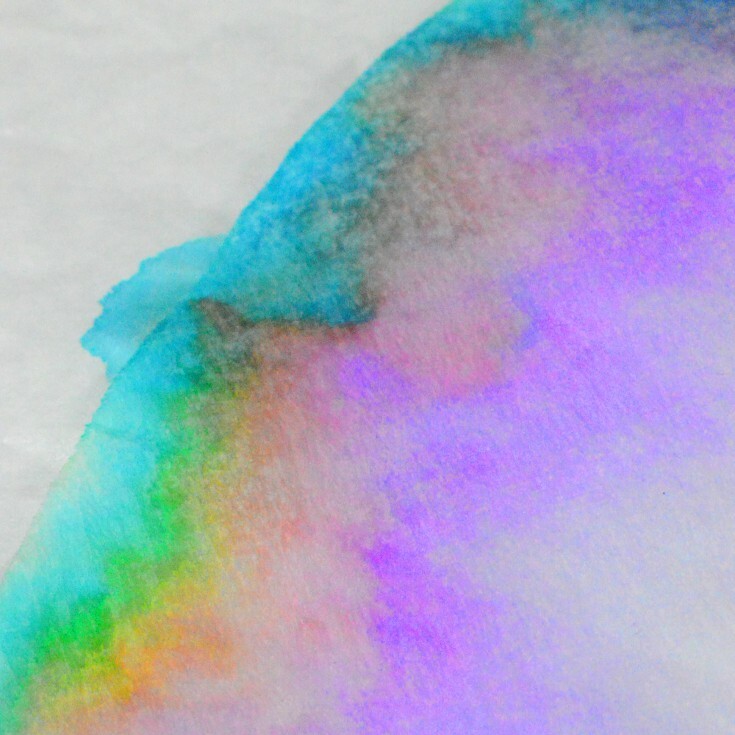 Since washable ink can dissolve in water (that is why it is washable), it starts to travel up the paper with the water. There are several components inside the black ink. The components travel at different speed depending on how polar the substance is. The less polar the component, the less it bonds with the paper and therefore the farther it travels. When these components are spread out, you can see that the black ink is actually composed of a rainbow of colors. The same thing happens with other colors. You will notice that the primary colors, i.e. red, blue and yellow, do not spread out into different colors, while others do. For example, green will be separated into blue and yellow, orange into red and yellow, etc.